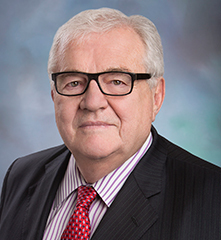 Robert S. Bennett is a former federal prosecutor and a leading member of the defense bar. Mr. Bennett is renowned in his field as an exceptional trial lawyer who has handled numerous high-profile cases and has represented corporations and individuals, including corporate directors and officers, in criminal, civil, SEC enforcement, and congressional matters. Mr. Bennett has been listed repeatedly in various publications as one of the nation’s most influential and successful litigators. Mr. Bennett regularly represents large companies in high-profile criminal investigations and complex civil actions, such as Enron, HealthSouth, KPMG, and BNP Paribas. He also represents individuals in high-profile matters and has successfully represented two former Secretaries of Defense, Clark Clifford (Democrat) and Caspar Weinberger (Republican). He was President Clinton’s personal lawyer in the Paula Jones case, and he represented New York Times reporter Judith Miller in the CIA leak investigation. Mr. Bennett’s robust background also includes representing clients before congressional committees. In 1981 and 1982, he served as a legal consultant to the United States Senate Committee on Foreign Relations regarding the appointment of Alexander M. Haig, Jr. as Secretary of State, and he has served as special counsel to the United States Senate Committee on Ethics in several major investigations. Mr. Bennett advises management, audit committees, and boards of directors on Sarbanes-Oxley matters, and he assists boards and audit committees in conducting internal investigations. Mr. Bennett has co-chaired several American Bar Association National Institute programs on the defense of corporations and their officers in parallel grand jury and administrative agency investigations. He has written and lectured on complex criminal and civil matters, and crisis management issues. He also is a fellow in the American College of Trial Lawyers, an elite organization of the country’s leading trial lawyers. Advised on creation and structuring of corporate privacy office and implementation of data governance structure for Fortune 25 healthcare business. Served as counsel for large publicly-traded business in negotiation and documentation of multibillion dollar healthcare joint venture. Advised publicly traded healthcare business on multipronged response to several large data incidents. Advised large healthcare provider on structuring and documenting innovative arrangement involving genetic data. Served as privacy outside counsel to Fortune 50 healthcare services provider on numerous mergers and acquisitions. Represented Enron in criminal investigation by the Justice Department’s Enron Task Force. Represented KPMG in criminal investigation by the Justice Department. Represented President William Clinton in civil lawsuit brought by Paula Jones. Represented Secretary of Defense Caspar Weinberger in prosecution by independent counsel. Represented New York Times reporter Judith Miller in investigation of CIA leak. Represented HealthSouth in criminal investigation by the Justice Department. Chambers USA, 2017 – Senior Statesman, Litigation: White-Collar Crime & Government Investigations (District of Columbia). Chambers USA, 2010-2017 – Litigation: White Collar Crime & Government Investigations (District of Columbia). Legal 500 US, 2011-2017 – Dispute Resolution: Corporate Investigations and White-Collar Criminal Defense. National Law Journal: 100 Most Influential Lawyers in America.